When expecting a little one there are 1000 things to check off the list. Cribs, bedding, diapers and travel systems. But one of the most important things that mom's have to check off the list is what type of electric breast pump they will choose. The decisions they are plenty. So how do you choose the best electric breast pump for you and for your little one? Medela is probably the most recognized brand. It is on the shelf at nearly all retailers. They have a 2 phase process that most closely mimics actual breast feeding. 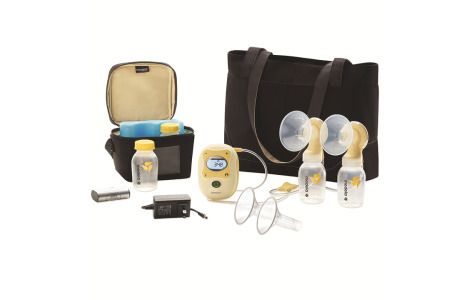 Medela also offers a wide arrange of choices and some retail items that add to the "look" of the breast pumps. Medela offers something for everyone and makes it easy for mom's to head back to work. Totes, shoulder bags, bottles and a car charger make it possible to tote everything you need. 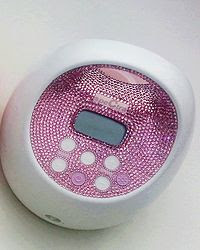 Spectra is another great manufacturer of breast pumps. They have easy to carry pumps in two colors (Blue and Pink of course) They even carry a line of bedazzled pumps that would make any Momma smile. With multiple sizes of flanges as well as totes, coolers and bottles they are another great option. They will lead the way and help you find the Best Electric Breast Pump for you and your baby. They know everything there is to know and will let you know if you can get a pump for free! Tell Me Mom's what do you look for in a breast pump?